FLASH!! Ian Porter recommends: "The Wayfarer shroud length that we use is 15ft 10.5ins. (4.839 metres), and we use Holt Allen HA 4272 adjuster plates." Once a mast is provided with turnbuckles, the shrouds are too short for shroud plates and need to be replaced (Al's note: see recommendation from Ian Porter: The Wayfarer shroud length that we use is 15ft 10.5ins. (4.839 metres), and we use Holt Allen HA 4272 adjuster plates."). I suspect this is major reason why many Wayfarers keep the turnbuckles that came with their mast. This has certainly been my finding in the extensive coaching that I do with Wayfarers. I believe that most serious racers use shroud plates. So, the question is: Why would anyone want turnbuckles? I am at a loss for an answer. 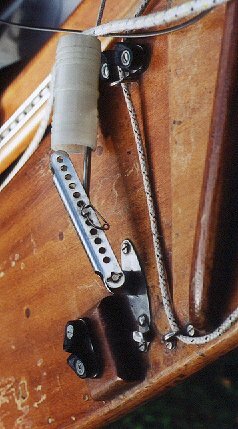 If there is no reason that it has to be turnbuckles, I would earnestly ask our mast providers to switch to shroud plates - and suggest that our Wayfarer sailors with turnbuckles replace them. CWA Class Coach and Web master of the Whiffle Web (http://www.wayfarercanada.com/index2.html) where this letter will be posted in the Weekly Whiffle on Monday 8 October. BTW, if you talk to George give him my best whishes on his 88 birthday and tell him I am looking forward to beat him (along with 81 others) during the next Worlds. I don't know the length that shrouds to be used with plates should be. I could measure it by unwrapping my boat but, as you point out, Ian Porter is likely to know what the length should be - so I've copied him this note and hope he'll let you (and me!) know. If not, I'll go out and measure my shrouds. There are various makes of shroud plates, so it might be best to get a recommendation on what shroud plates Ian uses with his length of shrouds, just to be on the safe side. 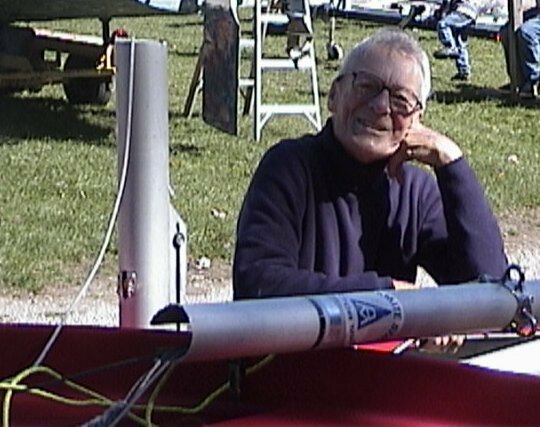 I'll try to remember to pass your birthday wishes on to George, and we'll all look forward to seeing you at the 2004 Worlds. By then, I hope to have given SHADES another coat of paint and varnish!! PS: I hope your first Dutch Nationals this weekend is a wonderful success and that you have lots of fun and do well if at all possible! Uncle Al has forwarded your note to me. and we use Holt Allen HA 4272 adjuster plates.